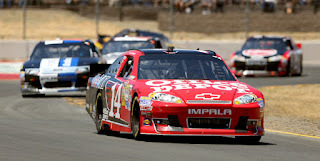 SONOMA, CA - "I just kept thinking, 'He's a dirt late model racer from the Midwest -- there's no way he can be able to run the road course,' but he did," said Kurt Busch of Clint Bowyer’s win at the Sonoma 350. With 15 laps to go in the 350-mile road race and running 2nd, Kurt Busch kept strong pressure hoping to force Clint Bowyer into a mistake. Unfortunately for Busch, he was the one who made the mistake. Boyer's Toyota was dominate most of the race. Kurt Busch gave Bowyer a run for his money. 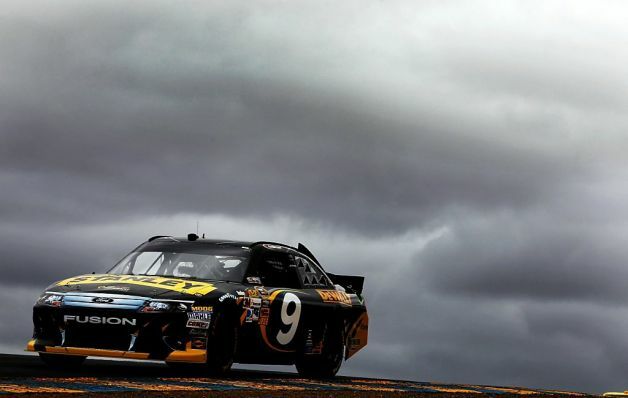 Front row qualifiers Marcos Ambrose and Jeff Gordon were outside the top five in Sunday’s race. 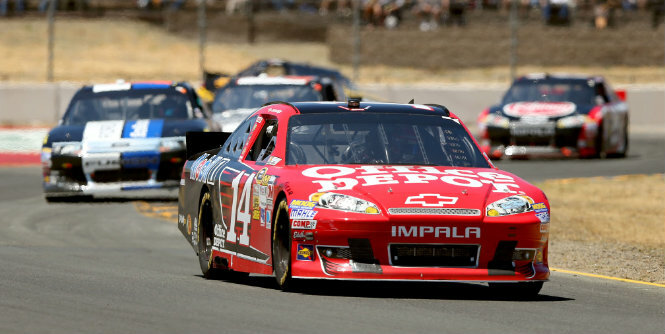 Ambrose’s car developed handling problems early in the race and Jeff Gordon, who had the fastest car in practice, somehow managed to run out of gas just before his second pit stop. "We went about a half a lap too far there on that one run," Gordon said. "I think we made the car a little bit better and just used a little bit more fuel in that second run and ran out, unfortunately. It never fails, you run out just as you pass pit entrance. 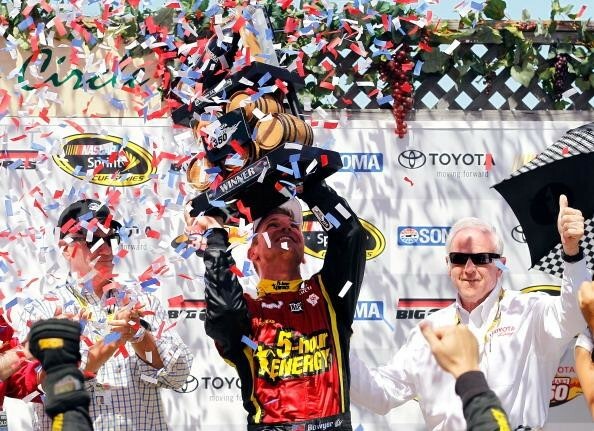 We were lucky to get back to pit road and get it fueled up." 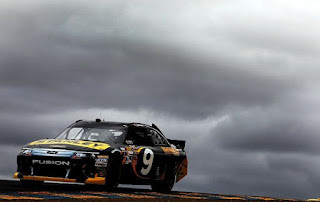 Marcos Ambrose qualified for the pole, but the car faded early. 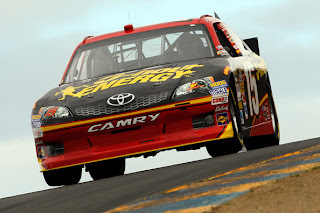 It is interesting to note that the dominance of road-course “ringers” like Boris Said is coming to an end. There were 4 ringers entered in the race, with only 3 qualifying for the Sunday event. Said managed the best finish at 29th. As the regular SPRINT Car drivers become more adept at turning right as well as left, the “mid-west dirt-trackers” are more than holding their own on the road courses. "That's the toughest thing," Said commented. "To come in here, no matter how good a race car driver you think you are, these guys for sure are the best in the world, in my opinion. To do it twice a year is just tough. I haven't sat in one since Watkins Glen last year, and that wasn't my best result. But still, I relish the challenge. I feel like it's a privilege that I get to do it, and I think I've had a great career doing it. Maybe I haven't won a lot of races, but I love competing. If we were competitive and maybe ran in the top 15, that would be like a win." Though not as competitive as in the past, Boris still enjoys the SPRINT Car rides. 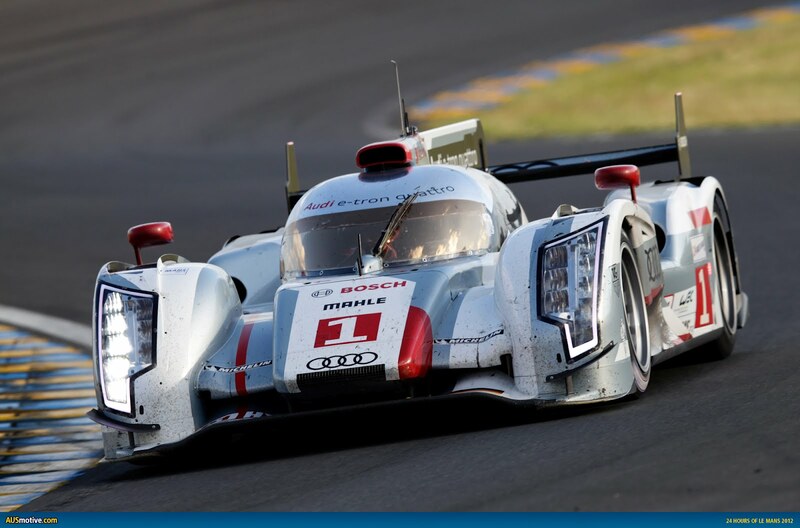 Audi Sweep at Le Mans! Diesel-Hybrids 1-2; Diesel 3. It is remarkable to note that the #2 Audi piloted by McNish was involved in a serious accident with a lower classed Porsche requiring the car to be nearly rebuilt. 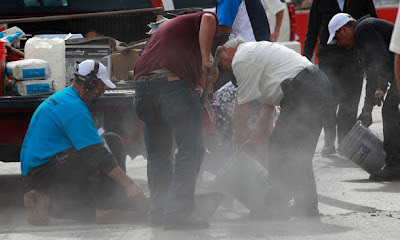 "I'm devastated, said McNish. 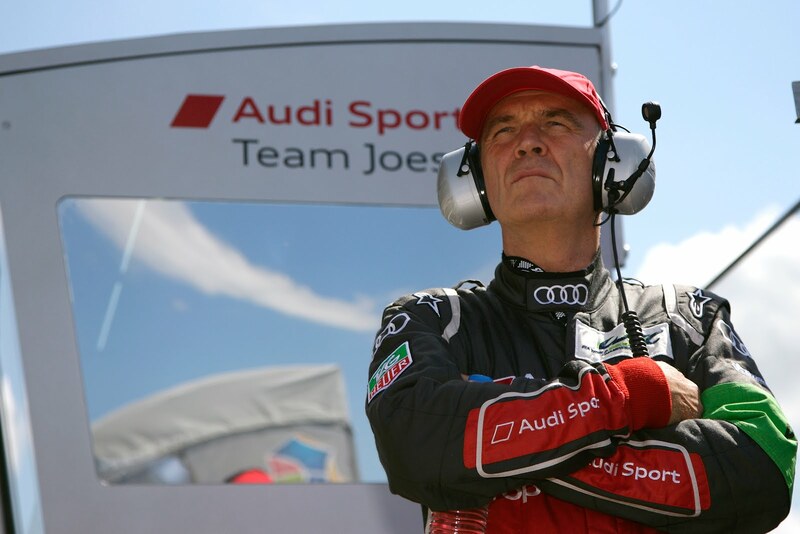 “I'm sorry for our team: Dindo, Tom, the engineers and the mechanics. They did a perfect job throughout the race. Despite a few problems we were in contention for victory up to my accident.” (Read more: http://www.autoweek.com/article/20120618/alms/120619815#ixzz1yAYxbJ1s ). The Toyotas were both involved in important wrecks. 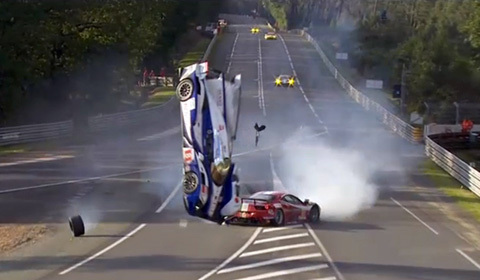 The most spectacular was the #8 Toyota hybrid of Anthony Davidson which flipped in the air and smashed into the tire barrier at the end of the Mulsanne straight when it was clipped by one of the Ferrari GTE cars (Video http://www.youtube.com/watch?v=Fzw5i14ewXY ). 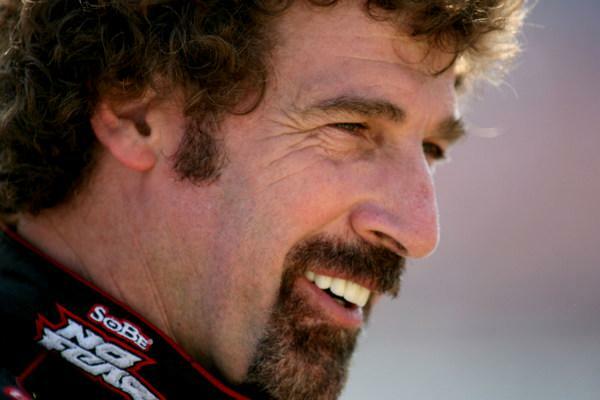 Davidson was hospitalized and sustained two broken vertebrae. The #7 Toyota hybrid piloted by rookie Nakajima made contact with the innovative Nissan Deltawing causing it to hit the wall and ending its Le Mans effort with only 75 laps under its Deltawing. The accident happened as 5 P1 cars were overtaking the Deltawing. 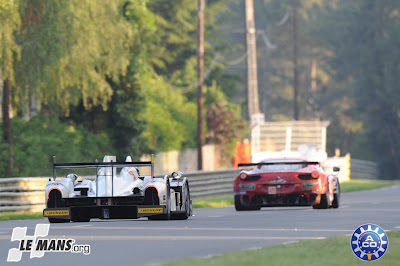 The 5th place Toyota tried to make a passing move on the 4th place Toyota, and seemingly not seeing the Deltawing, turned in and slammed into the Nissan ( Video http://www.autoevolution.com/news/nissan-deltawing-crash-at-lemans-video-46282.html ). 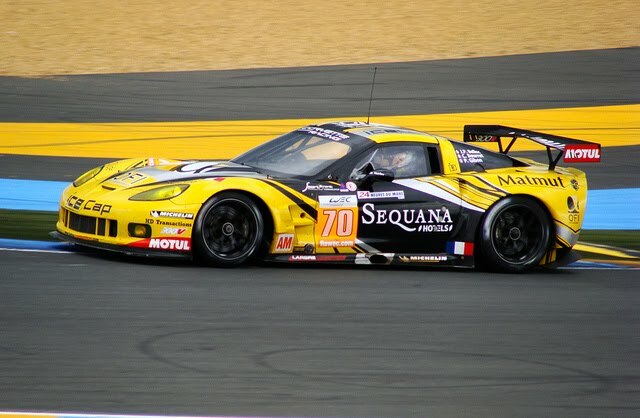 The GTE-Am amateur class saw an exciting finish with the Larbre Competition Corvette, prepared by Pratt and Miller Racing, drag raced to the finish with the IMSA Performance Porsche RSR of Poms/Anarac/Armindo. The pole-sitting #80 Flying Lizard Porsche RSR entry of went out in hour ten battling suspension issues then finally, an accident. The #79 Flying Lizard entry managed a 4th place finish. Montreal GP - Hamilton is Lucky 7! 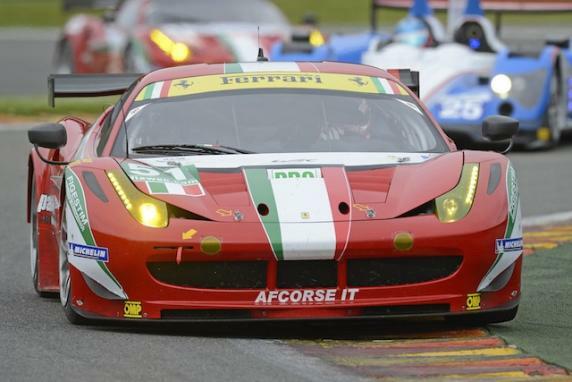 MONTREAL, CANADA – Formula One has sure had an interesting season. Coming into the Montreal GP, there have been 6 separate winners in six races. 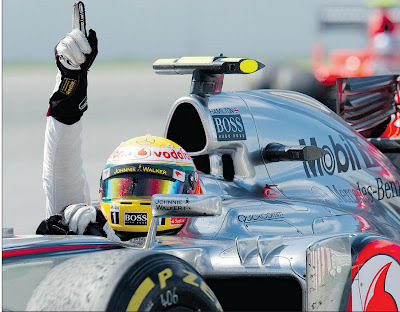 Canada was going to be no different with Lewis Hamilton crossing the finish line first in his McLaren, and becoming the seventh winner this year. 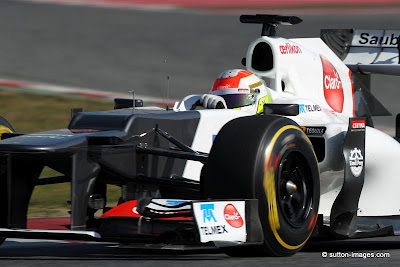 Romain Grosjean came in second in his Lotus with Sergio Perez third for team Sauber. 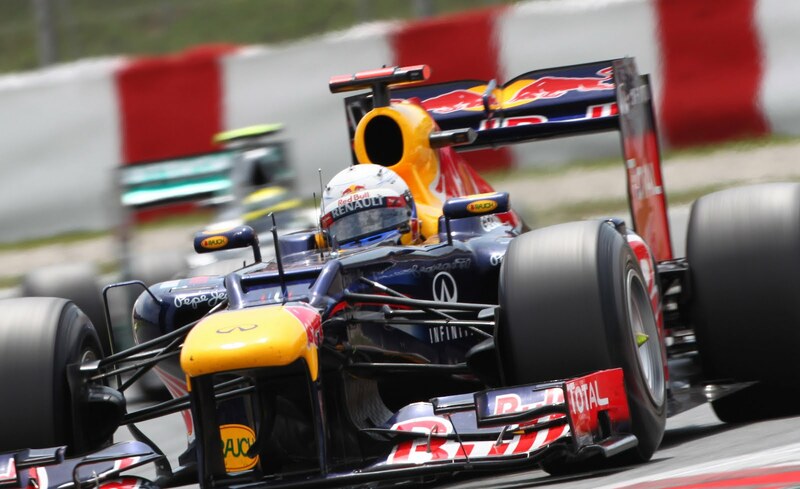 Sebastian Vettel initially led from the pole position, but Hamilton was able to keep him in close range. Following the first set of pit stops starting on lap 16, Vettel was the first to come in, then Hamilton on lap 17 and Alonso on lap 18. Alonso came up on top on after the stops, but Hamilton was able to rocket past the two gaining the lead. Hamilton easily held the lead and was able to put a few seconds between him and the Ferrari. However, a poor pit stop for the McLaren resulted in him coming up in third place. 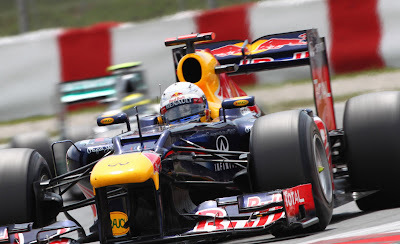 It looked bleak for the Brit as it appeared that Renault and Ferrari had planned a one-stop strategy. But the one-stop strategy proved to be a poor one on lap 62 as he blasted past Vettel and reeled in and past Alonso by lap 65. The degrading tires on the Ferrari and Renault were taking their toll on lap times. 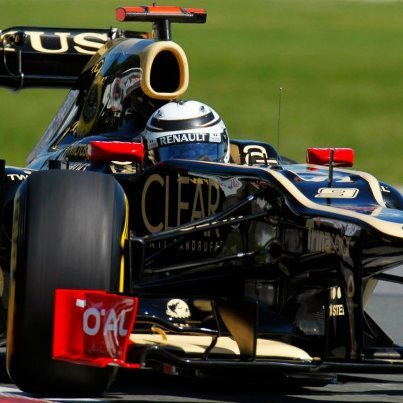 This gave Grosjean in the Lotus and Perez in the Sauber opportunity to move into second and third place. Vettel finally made the choice to come in for tires on lap 63 and was also able to shame the Ferrari. “I always knew today’s race was going to be incredibly tough. So, in the first stint, I was really pleased that I could keep up with Seb [Vettel], and at that point I already felt sure I’d be involved the fight for victory. Our strategy was always for a two-stopper: we knew it was going to be the fastest way to get to the finish. I looked after my tires really well today, and I used them knowing we were going to two-stop. The win puts Hamilton back on top with 88 championship points, followed by Alonso with 86 and Vettel with 85. The win had extra meaning for Hamilton as Montreal was the track that saw his first win back in 2007. In related news, ticket sales for the US Grand Prix at the Circuit of the Americas went on sale this past weekend. Legal battles between the race founder/promoter and the race investors were put to rest late Friday in an out-of-court settlement. 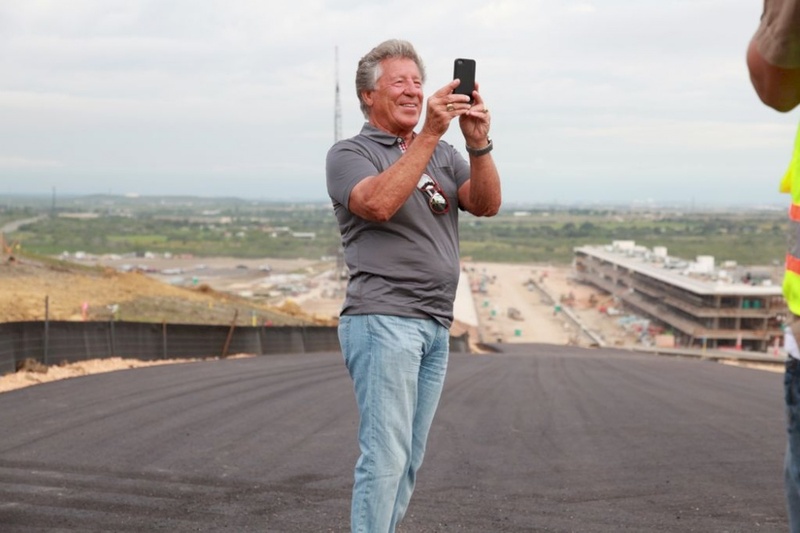 It was also announced that racing great Mario Andretti has been named the Circuit Ambassador. Following the accident, the yellow flag was shown on lap 40. The cars continued circulating until lap 45, allowing the officials to call it a completed race. Upon initial inspection by Race Director Beaux Barfield, the race was expected to restart, but that was not to be. 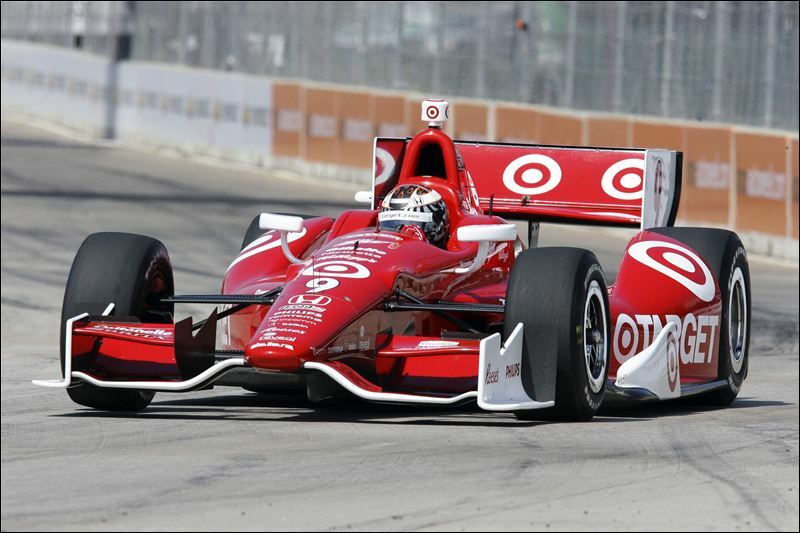 On top of the order at the race conclusion were the Target-Ganassi duo of Scott Dixon and Dario Franchitti. The Dallara-Hondas made a respectable showing in their street-course debut as IndyCar rookie Simon Pagenaud finished third in his Dallara-Honda. 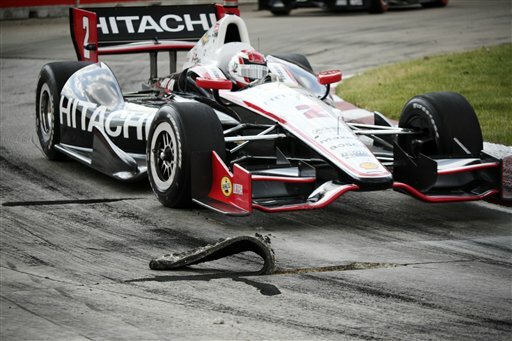 "Tremendous day for Honda," he said. 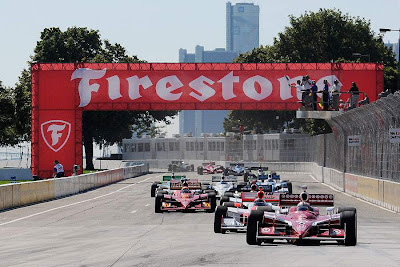 "Also, I've got to thank my team, [Schmidt Hamilton Motorsports], and it's amazing to be a one-car team and fighting against Penske and Ganassi. I've found like it's living in a dream."